Are you thinking about donating your car or truck to a local charity, but a little confused on what steps to take? Giving a vehicle to a charitable organization is quite popular in the U.S., but it can be a tedious process if you don’t know what steps to take and what pitfalls to watch out for. Here are some tips to help you donate a car by fax, donate a car by phone, or donate a car by mail, as well as a few guidelines for making that both you and the charity benefit from your generous gift. Charities realize that you’re a busy person, so they’re making it simpler than ever for you to give your car, truck, boat, RV or motorcycle to a good cause. Once you’ve decided to donate your vehicle, it’s time to decide which charity you would like to support with your gift. It will help to research how your charity plans to use your donation, in order to make sure the maximum amount of your gift is going to help people in need. Watch out for online scam sites that offer to collect your car for charity; sites like this donate a portion of the proceeds to good organizations, but keep most of the money for themselves. After choosing a charity, it’s time to contact them and tell them about your wish to donate your vehicle. Different organizations offer a variety of ways to donate cars, including donating by fax, phone, mail, email and in person. A popular New Orleans’ based charity organization, the Greater New Orleans Volunteers of America, even offers donors the unique ability to donate a car online using a simple form. There are several things you need to know in advance of giving your car to charity. First, how much is your car worth? This information is helpful for both you and the charity, as it will help give them an idea of how many people they can help with your donation, while allowing you to anticipate how much you can write off as a tax deduction. Second, what’s your preferred mode of communication? If you don’t have access to a fax machine, then donating a car by fax will obviously not be the best choice for donation method. No matter what method you choose, most charities will have a representative available by phone to help you through the donation process. Once you’ve completed the initial donation paperwork, it’s time to get your car ready to go! Clean out any garbage or personal effects, making sure to check the glove compartment, ash tray, consoles, floorboards and trunk. Coordinate with the charity organization to decide on a time when they will come and collect your car, then leave the keys, owner’s manual and title information on the driver’s seat or in another place that the organization’s driver will easily find them. You might also want to check with the charity to find out if you should remove the license plates from the vehicle, as rules on this differ by state. If you’re looking for a trustworthy organization that accepts car donations in New Orleans, the Greater New Orleans Volunteers of America is a great charity to choose. The VOA serves kids, families, recovering drug addicts, the homeless, disabled persons, veterans, and the elderly in communities across 16 Louisiana parishes. 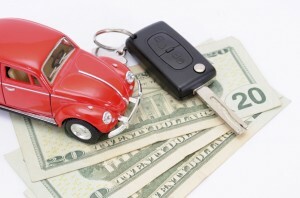 Visit www.voagno.org or call (504) 482-2130 to learn how to donate your vehicle.